How Do You Solve a Problem Like Markelle? Last Sunday in Brooklyn, after having been down by as much as 20 points, the Philadelphia 76ers found themselves with the ball, down a single point, with less than ten seconds remaining. On the floor were, predictably, four Sixers regulars – Joel Embiid, Ben Simmons, JJ Redick and Wilson Chandler – as well as the recently-acquired Jimmy Butler. In an eerily similar sequence to one that had played out the weekend before in Charlotte, Butler shook free on the right wing and hit a step back three-pointer to give his team the lead, leaving under a second on the clock for his opponents. The Sixers won, 127-125. Notably absent from the proceedings, yet again, was Philadelphia’s first #1 overall draft pick to actually play in his first year since Allen Iverson, a 20-year-old who has amassed a total of 680 minutes in 33 games over his two seasons in the NBA and who has not played since November 19th, in which he logged seven minutes against the lowly Phoenix Suns (more on them momentarily). 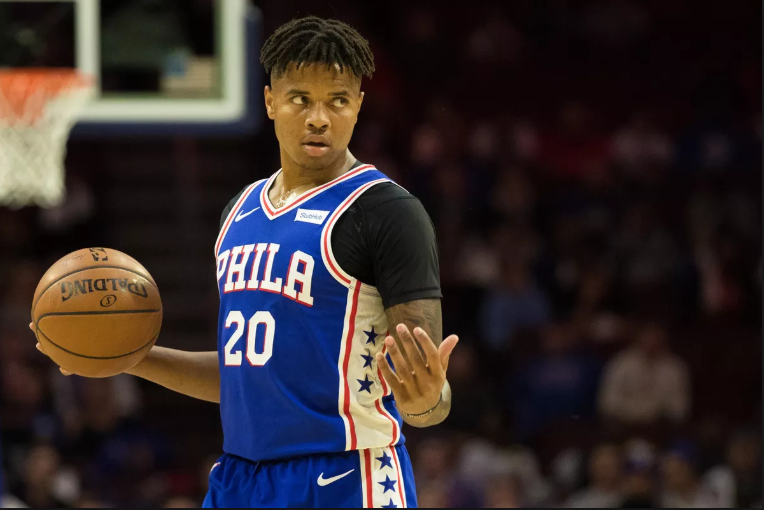 Butler’s arrival, insertion into the starting lineup ahead of Fultz and evident, immediate impact has all but rendered Markelle Fultz a redundancy, so to speak, if not yet a flat-out bust. The undrafted T.J. McConnell is now soaking up minutes left behind by a former #1 overall pick, with the latter left in limbo. To a degree, I’d agree, without clarification. 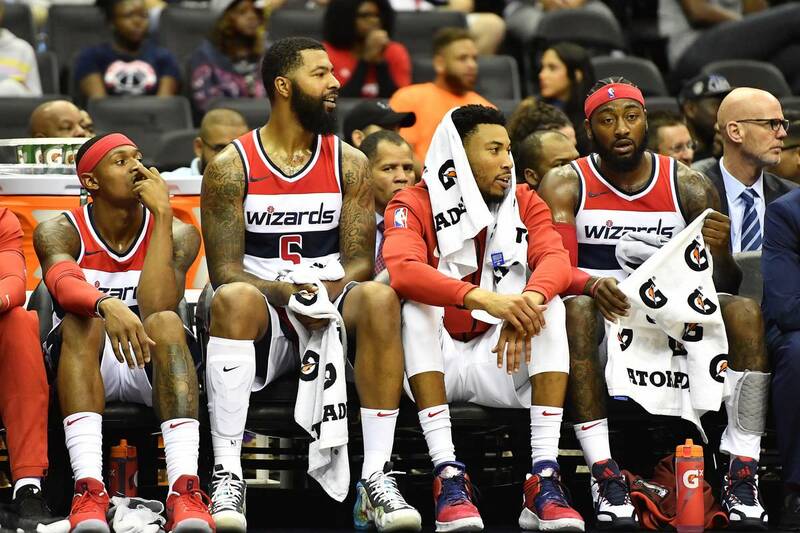 Specifically, though, the Washington Wizards have been the greatest thing that has ever happened to the late period Jimmy Butler Minnesota Timberwolves. John Wall began proceedings by showing up to Team USA practice in the summer looking like someone who had just spent an inordinate amount of time at Reagan National Airport. Despite a win against the feisty Clippers on Tuesday night, it hasn’t gotten much better. By now – that is, twenty or so games into the NBA season – we have seen enough of Kawhi Leonard in Toronto to buy into what he is post-injury to the Raptors. With LeBron gone, and the Celtics’ offense sputtering to the shoulder of the Eastern Conference, the Raptors have seized an opportunity to claim their place as the toast of the town. Leonard and Kyle Lowry have jelled in marvelous fashion, despite the latter’s evident dismay at the departure of his running mate and best friend in the course of Raptors general manager Masai Ujiri doing business. So what of Lowry’s erstwhile backcourt partner? With just under three and a half minutes remaining in a game in which his team was clinging to a one-point lead over the all-galaxy (but notably Steph Curry- and Draymond Green-less) Golden State Warriors, DeMar DeRozan did what he does best: he went and got two points, with the kind of inspiring ease that makes you laugh, grit your teeth and shake your head simultaneously. 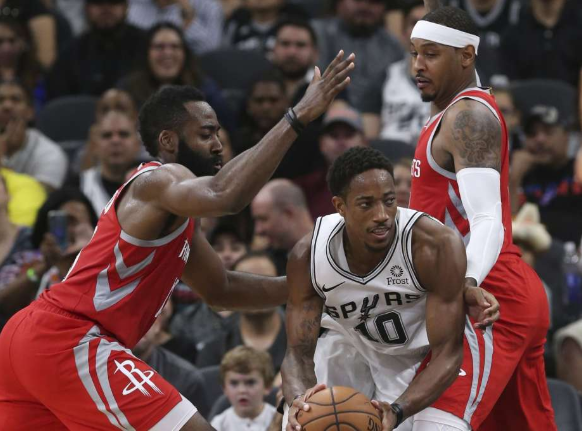 In stretching the lead to three, DeRozan jump-started a seven-point run that gave his San Antonio Spurs just enough of a buffer to hold against the two-time defending NBA champions. He added a trio of free throws down the stretch before Patty Mills hit a clinching three-pointer, and San Antonio beat Golden State 104-92. In his fraught discomfort, away from the organization that drafted and fostered him, DeRozan has found something like peace. Early returns on the 2018-’19 NBA season have been extremely varied. 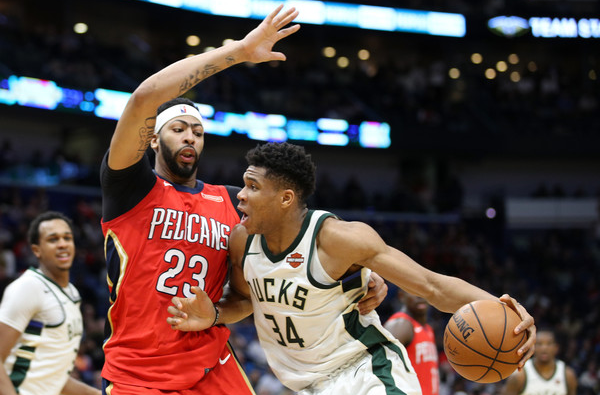 That’s not to say the basketball itself hasn’t been good; between the paralleled excellence of Giannis Antetokounmpo and Anthony Davis, the ongoing development of LeBron’s Lakers Day Care, DeMar DeRozan embracing San Antonio, Steph Curry firing out of the gate and Klay Thompson one-upping his Splash Brother by nearly quadrupling the number of threes he’d made all season in a single night, there has been plenty to see, and not all of it has to do with the Golden State Warriors’ seemingly inevitable death march to their fourth title in five years. Some of it has been a bit…strange, though. Some things are off, and it isn’t just Markelle Fultz. Defenses are getting to Ben Simmons (or, rather, not getting anywhere near him, except in the paint). The Boston Celtics, who took LeBron to seven games in the East Finals last year and are now re-integrating two All-Stars into their lineup, have returned a maniacal defense but have been unexpectedly dysfunctional on the other end. Oklahoma City stumbled out of the gate. 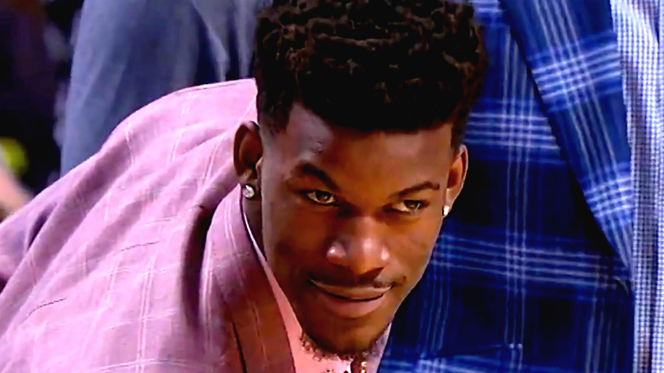 50-point Derrick Rose? 50-point Derrick Rose. The Sacramento Kings have won four in a row and five of their last six! What is this world coming to? In the midst of all the madness lie the Houston Rockets, who currently sit at 1-5 with matching bottom-five Offensive and Defensive Ratings. James Harden has looked all the MVP he was a year ago, and Clint Capela has continued to progress into a two-way force, but everything else is amiss. Mike D’Antoni and company have some ’splaining to do. Dearly beloved, the NBA season is once again upon us, beginning with a doubleheader featuring Celtics/76ers and Lakers/Trail Blazers on TNT Tuesday night. It felt like centuries ago that Steph Curry, Kevin Durant and the Golden State Warriors disposed of the Cleveland Cavaliers in the second NBA Finals sweep of LeBron’s career, and that we all took it with a benign shrug because the sun was corrupted, and the walls were falling in anyway. 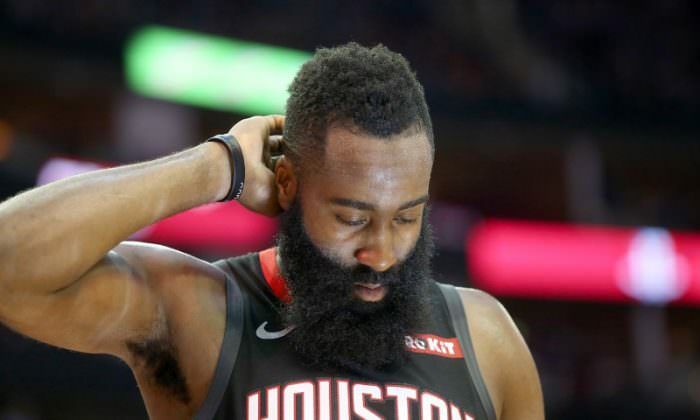 James Harden, the reigning MVP, lost grip of a 3-2 Western Conference Finals lead that could’ve been his own coronation. People were rioting in the streets over the definition of the word “rookie.” It was anarchy. You may remember that, once upon a time, many centuries and heartless regimes ago, there was a simple game that giants played involving one round, orange object, two baskets and 94 feet of freedom. It was a simpler time, even though the stats were already advanced. Below, there will be no “Which NBA team most closely mirrors your favorite airline perk,” or “NBA All-Star candidates-as-Wu Tang Clan affiliates.” Flashy graphics are limited because we spent the entire budget on donating to a GoFundMe for Joakim Noah’s stretch provision. As a small favor to you, I also promise to spend the absolute least time here on the Golden State Warriors, who will almost undoubtedly win the forthcoming NBA championship for the fourth time in five years. So, without further ado, let us basketball.